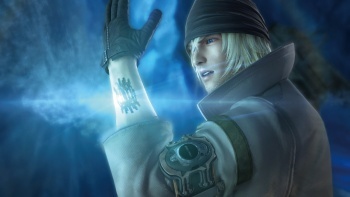 European Final Fantasy fans, rejoice: There will be a confirmed Limited Edition of the upcoming Final Fantasy XIII, and it will be really, really cool. These days, it almost seems rarer for a big-name title to not get a Collector's Edition release than the other way around, so the news that Final Fantasy fanatics will be able to pick up a super-duper special edition when it comes out this March shouldn't be a surprise to anyone. Still, it's always nice to have official word: After briefly appearing on the Gamestop Italy site earlier this week, the existence of a Final Fantasy XIII Limited Edition has been confirmed by Square-Enix - at least, its European release has, anyway. And, of course, it'll all come packaged in a special box for you to put on your shelf and admire lovingly. I have to admit, I'm a huge sucker for art books, so the fact that this edition includes a hardcover art book might single-handedly make it worth the asking price. No word on whether or not this will see a UK or US release, but I'd say it's a safe bet that we'll be seeing something, even if it isn't this exact package. We better, anyway.